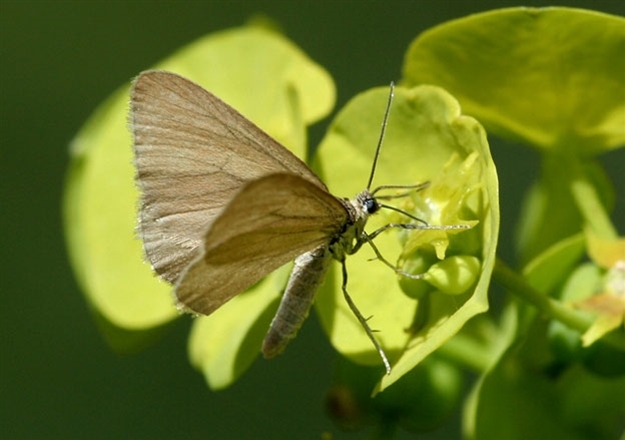 A small plain pale brown moth with unpatterned wings. Usually single-brooded, May to June, occasional second brood in August. Woodland clearings and rides in the sun.